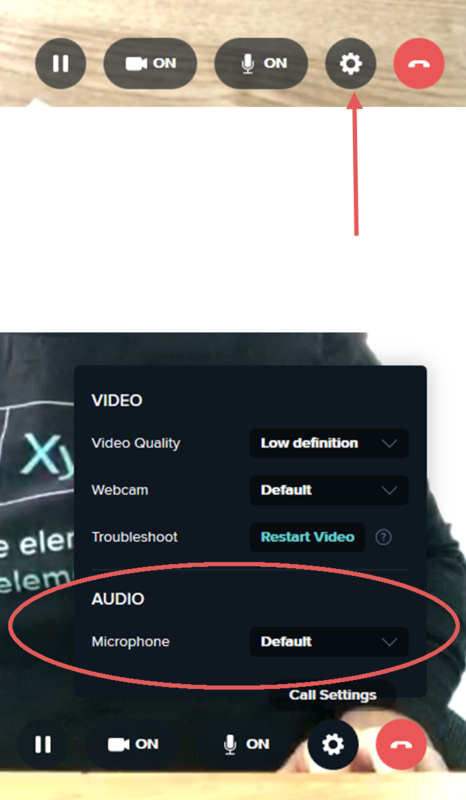 If you have multiple microphones connected to your computer/device you are able to choose which microphone Doxy.me uses. While on a call, hover your mouse to the bottom of the video. Click the wheel icon. A list of available microphones will pop up. Select the one you wish to choose.